It’s been four days since Donald Trump became President- elect of the United States and the world seems to be in a state of shock. Before the election the Swedish duo Filip and Fredrik ventured to the town in America where Trump has the strongest support and asked themselves: Do you have to be mad to vote for a madman? Their documentary In Trumpland with Filip and Fredrik aired on the Swedish Kanal 5 the day before the election. 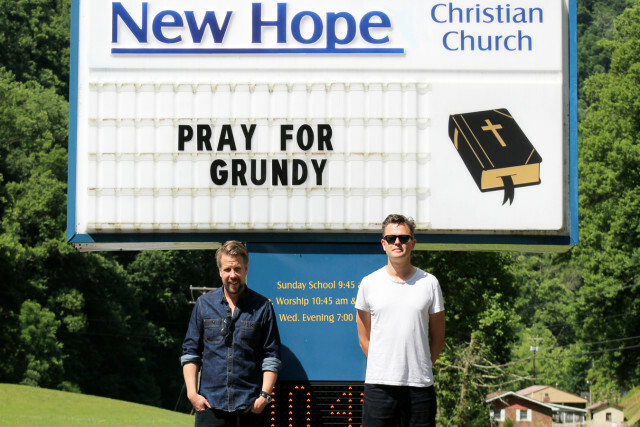 Set in the small mining town of Grundy, Virginia, Filip and Fredrik uses their usual set up of meetings with very characteristic people, humor, and discussions. They meet Grundy’s first and only rapper D-train, a grandmother who’s going to remarry at 80, and the documentary ends on the day that’s the towns highlight of the year: the county fair. By exploring the little town and getting to know the people that live there the Swedish duo unfold the conundrum of why anyone would vote for Trump. They help the viewer understand, even though it was made before the election, how Trump became President-elect. Even if you don’t agree with Trumps politics it is important to try to understand and listen to the people who voted for him out of sheer desperation in order to really make America great again. Unfortunately the documentary is not entirely in English and there are yet no English subtitles for it, so some of you may wonder why I’m even suggesting you see it. But it is important to meet and try to understand the people who vote for Trump and understand why. Why are they so desperate for change that they would vote for a madman? Do you have to be mad to vote for a madman? Watch the documentary to find out.